I’m posting these photos; it’s better late than never. I actually have a lot more to post — my travels with “Alyana,” flowers that caught my attention, edit and shooting activities, seeing X-traordinary beauty from ordinary things…. 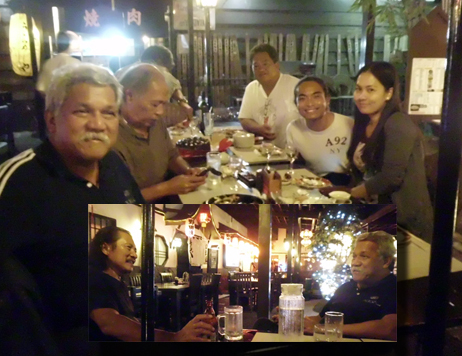 Anyway, last January, some production staff members of Team Asiong celebrated New Year and the birthday of Ricardo “Tibo” Salonga at Tokyo, Tokyo in Makati. 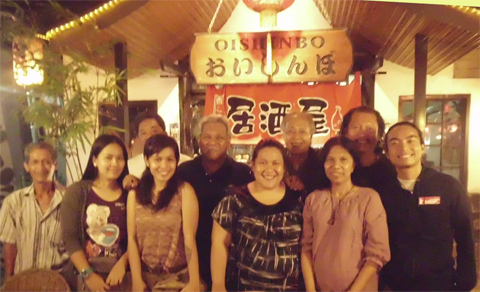 According to Tibo, he is related to the real Nicasio “Asiong” Salonga. He grew up in Tondo but since he was still small at the time he died, Tibo just heard the Asiong Salonga legend from his father, a cousin of Asiong, if I remember it correctly.